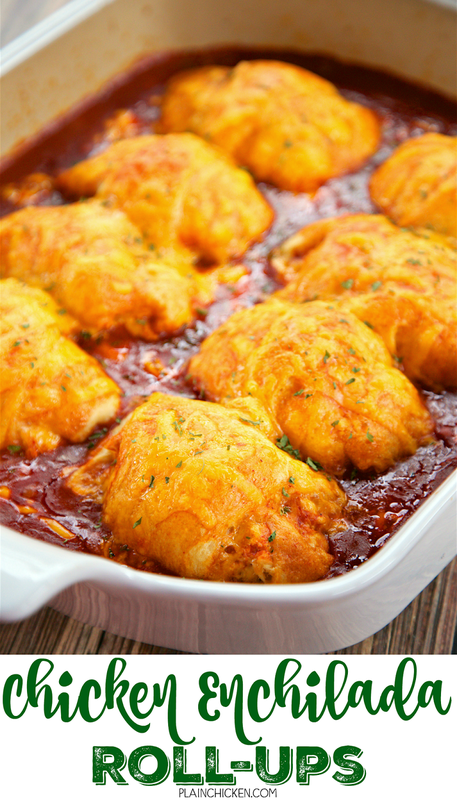 Chicken Enchilada Roll-Ups - chicken, cream cheese, southwest seasoning, cheddar cheese, wrapped in crescent rolls and baked in enchilada sauce. SO good. 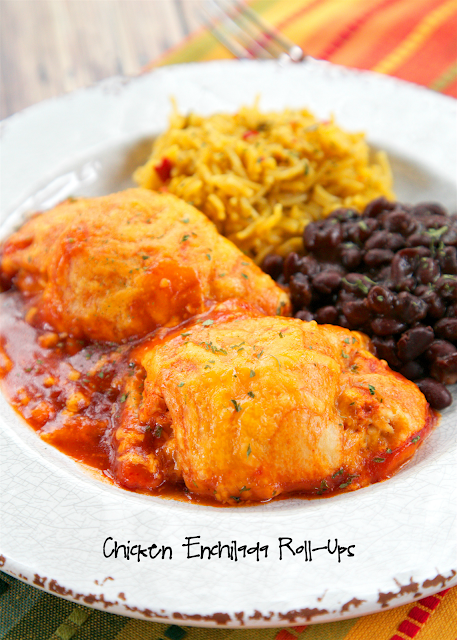 Serve with some black beans and Mexican rice or a salad. We ate this 2 weeks in a row! Quick weeknight meal! New favorite alert! 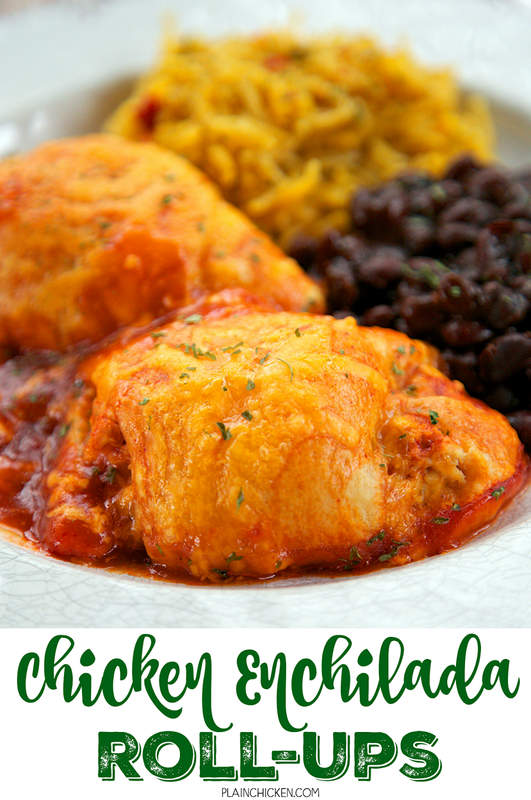 We've made these Chicken Enchilada Roll-Ups three times last month! We can't get enough of them! They are SOOO good! This recipe only takes about 30 minutes from start to finish. I used some rotisserie chicken and the roll ups were ready for the oven by the time it preheated. I love super easy weeknight meals! 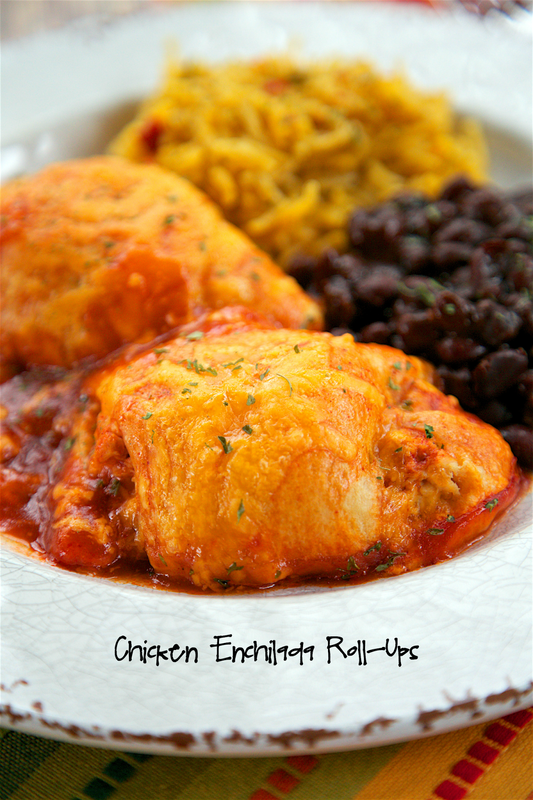 We served the roll ups with some black beans and Quick Enchilada Rice. Everything was so delicious! Make this tonight. I promise everyone will love it! Preheat oven to 350ºF. Lightly spray a 9x13-inch pan with cooking spray. Pour 1/2 cup enchilada sauce in bottom on pan. Combine chicken, cream cheese, southwestern seasoning and 1 cup cheddar cheese. Separate crescent rolls into 8 triangles. Top the large part of the crescent triangle with the chicken mixture. Roll crescent rolls up. Place crescent rolls in dish. 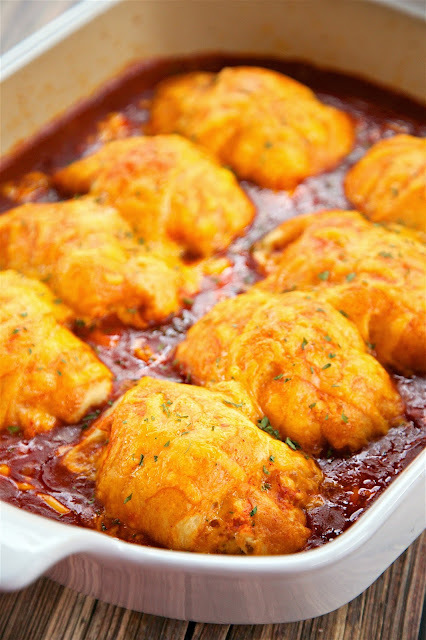 Pour remaining enchilada sauce over crescent rolls. Top with remaining 1/2 cup of cheddar cheese.